1. Set up your site with the webmaster tools on Google's search console and on Bing. This provides insight into how/when search engines are crawling your site. You can also view sitemap information and test robots.txt. 2. Register all variants of your site (e.g. https://www., http://www., etc.) with the previously mentioned webmaster tools. You should also notify the search engines of which protocol schema and domain/subdomain are canonical for your information. If there are two links that Google doesn't recognize as the same, you're essentially bidding against yourself for page rank on those searches. 4. Use a sitemap and keep it updated. Be sure to generate and submit a new sitemap each time you add or change content. For Ruby sitemap generation, I use Karl Varga's gem sitemap_generator. I re-run the rake task each time we deploy or add a new blog post. One bonus of using this gem is that is automatically submits the sitemap for you. 5. Use JSON-LD to give semantic structure to your content for non-humans. The idea is to provide JSON content that reflects the structure of a page and other business information in easily parsable JSON. Google uses this content to display "rich cards," Google News, and other high-profile presentations of search results. JSON-LD is also a great way to make your paywall-protected content discoverable by search engines. (Just make sure that the logged-out URL is the same as the logged-in URL). This is a fairly new addition to the SEO toolkit. If you want to learn more about structured content, Google has made a developer guide available here. 6. Use HTTPS. Honestly, this has a minimal, yet concrete impact on SEO, but I'm adding this strategy because I want people to use SSL/HTTPS whenever possible. Not seeing the green Secure icon in your browser should be the exception, not the rule. If you need further instructions on adding HTTPS to your site, there are a number of free resources available online. Let's Encrypt is one of my favorites. 7 (BONUS). Use proper HTML5 tags. This is the best SEO advice I’ve ever given or received. A simple cleanup of site navigation not only improves search result ranking, but also helps search engines build proper sitelinks. When sitelinks show, they give your site additional prominence at the top of search results. While navigation isn’t the only place for HTML5 tags, it's one of the most important. 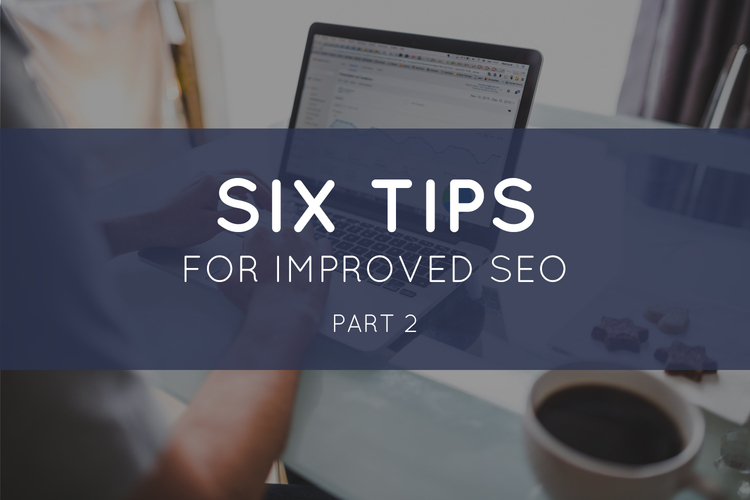 SEO doesn't have to be difficult, but it should be intentional. Incorporating these seven strategies into your site will help you get your content in front of the right audience. If you'd like to learn more about how WebVolta uses both design and development to improve SEO, contact us to set up a consultation!